SKYVVA iPaaS Data Migration Service is perfectly suited for business analysts and administrators to manage the import of critical business information such as accounts, contacts, products, leads and orders in a timely manner without being reliant on limited IT resources. SKYVVA´s Dataloader is a native Salesforce App and is designed to integrate data supporting CSV/XML format via a manual file upload.It is simple, intuitive and powerful to built integration in minutes. It is a Config&Click graphical mapping tool. As a native force.com App, no hardware or infrastructure is required to install or maintain. Based on an intuitive web interface with a Salesforce look & feel, SKYVVA´s Data Migration Services are very easy to configure and maintain. Data Migration Services are installed as a tab directly into Salesforce Menu for easy access and convenience. 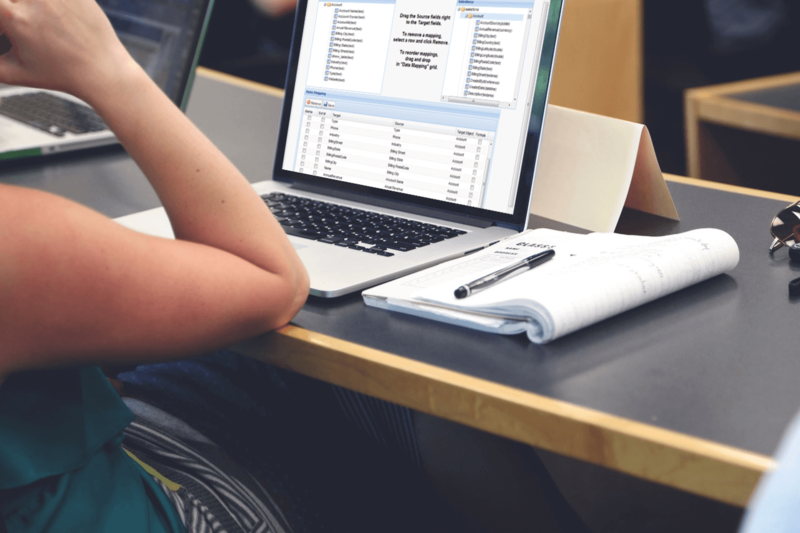 Fields are mapped by a visual editor and the data is transformed using a formula editor. 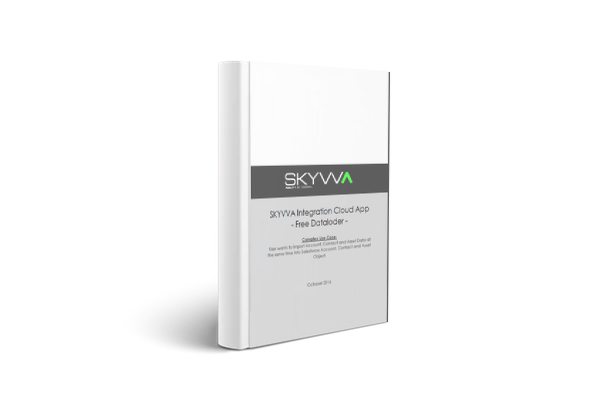 Adoption is easy as SKYVVA has the same look & feel as the Salesforce platform. Proactive alerts notify business analysts or administrators about failures in the service. The easy to use interface allows these same people to resolve the issues without requiring assistance from IT. SKYVVA´s Data Migration Service is perfectly suited for business analysts and administrators to manage the import of critical business information such as accounts, contacts products, leads and orders in a timely manner without being reliant on limited IT resources. SKYVVA helps streamline operations and unlocks the power of Salesforce! Get the free Data Loader now! Follow one of the links below to get the free Data Loader for your Salesforce organization. This described use case is about a request to upload account data in a CSV file according to Salesforce. For this application our manual load function is used. This described use case is about the requirement - to upload account, contact and asset data in a CSV file in a step according to Salesforce. In this case, our manual load function is used in conjunction with IChained Interface. This described use case is about how to import flat xml file. SKYVVA Data loader is designed to integrate data supporting CSV/XML format via a manual file upload. This described use case is about how to import hierarchical xml file. SKYVVA Data loader is designed to integrate data supporting CSV/XML format via a manual file upload. The various trademarks are the property of their respective owners.